Find My Workspace lists over 95% of the business centres market in Cockenzie and Port Seton. Simply click Request Quote to check pricing for one office, or Add to Basket for multiple offices. This centre in East Lothian comprises a 6,995 square feet business centre complex, with offices and storage units ranging from 150 square feet to 1,300 square feet. It offers flexible business accommodation for companies seeking office premises in a quiet location just along the coast from Edinburgh. 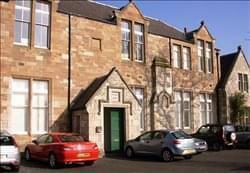 The attractive building is from the 17th century and features breakout areas and car parking on-site. Tenants can access the property 24-hours a day, offering flexibility outside the regular nine-to-five. The serviced office space comes fully furnished, with rent, rates, insurance and utilities all included into one convenient monthly cost.